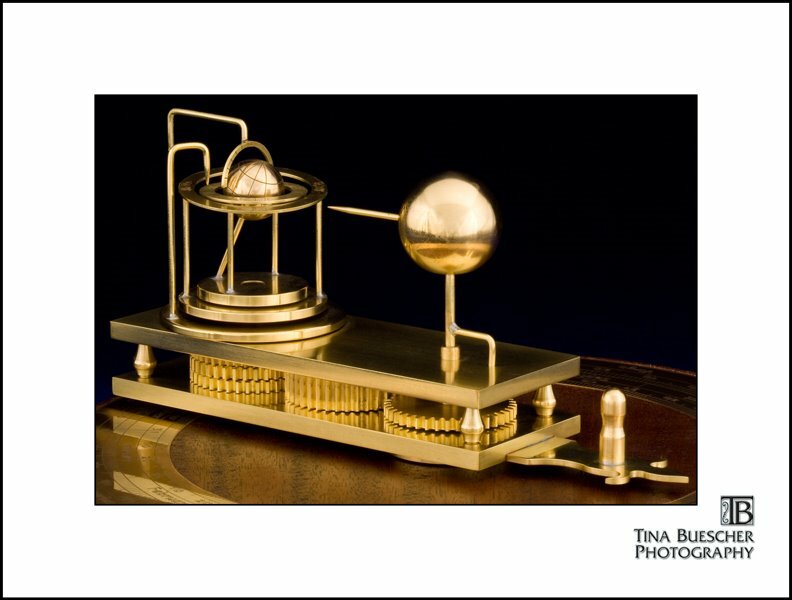 Designed circa 1750, the core of the mechanism depends on gears of differing ratios to illustrate the movement of the moon's nodes and apogee as the earth revolves around the sun. It can be used to illustrate many things, including eclipses." Jim further states he was inspired by Ian Coote, see Ian's page about the orrery here. We have offered a few different Orrery clocks in our collection in the past. Each of them are works of art with limited availability. Be sure to watch this space so you know when we have another one available!